Mark Rothko, being of a Russian Jewish descent is a famous American painter noteworthy for his host of abstract paintings interspersed with a brilliant fusion of colors. 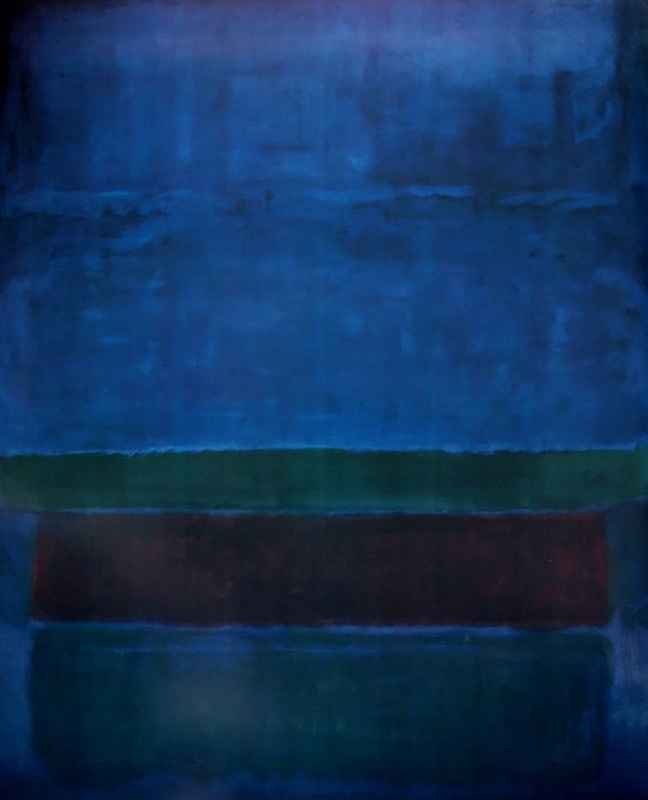 The Rothko Chapel, located in Texas’ Houston is not merely a chapel but also showcases the master’s brilliant works of art with his fourteen dark paintings gracing the walls. The chapel was listed in the National Register of Historic Places in 2000. 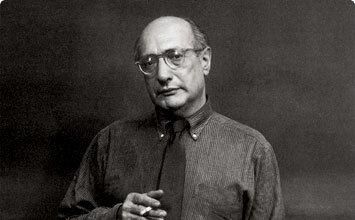 Another of Rothko’s remarkable milestones is the mural paintings he was commissioned to make for the Four Seasons restaurant located on Park Avenue and owned by Joseph Seagram and Sons. 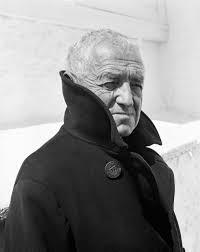 However, on visiting the restaurant with his wife when it was on the verge of completion, he refused to have his paintings hung at a place that would be dined by the affluent class, hence discontinuing the project. He died in 1970 and was found smeared with blood in his kitchen, though the actual cause of his death remains a mystery. Belonging to the list of Rothko’s unique works of abstractions it was one of the three canvas series he painted between 1958 and 1959 to serve as murals for the restaurant, the Four Seasons situated in Seagram Building, Park Avenue, New York. 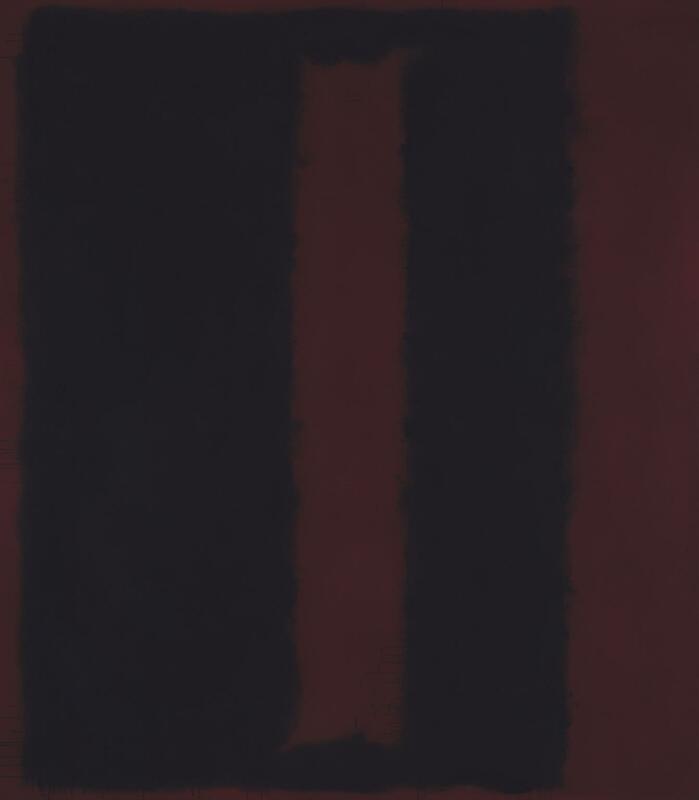 It is an unframed painting on a rectangular canvas, with deep maroon being the base color. He has wonderfully played with the color maroon blending deep wine with shades of mauve to highlight the sense of depth. 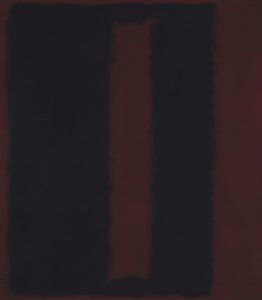 The black rectangle encloses the two maroon boxes forming a window-like structure. 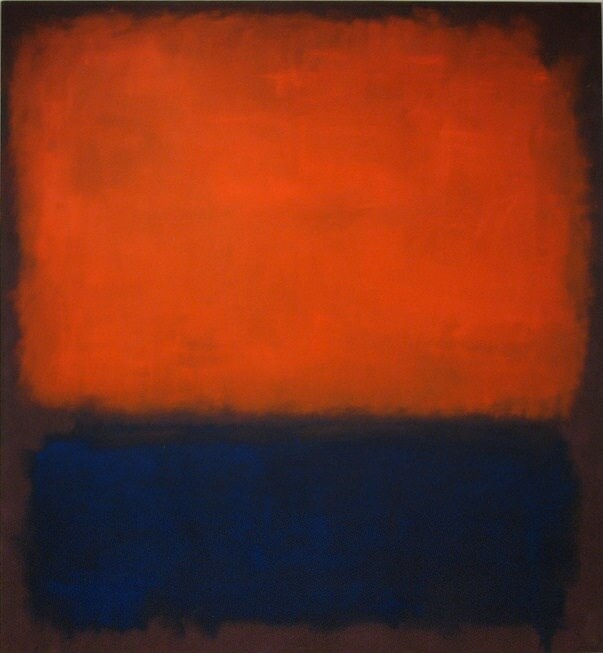 Another of his masterpiece, this is symbolic of death according to Rothko himself. 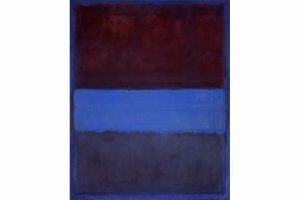 The rectangles placed one on top of another are desolate and empty, also hinting at a sense of ambiguity in the manner of presentation. This presentation belongs to the Color Feld Movement where layered colors have been used for enrichment. 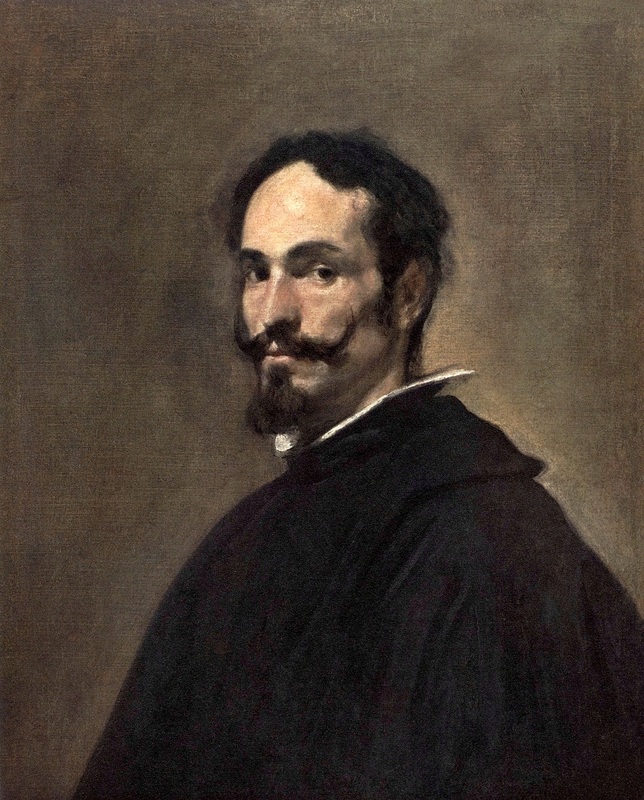 His technique might seem simple, but when examined from close quarters it has been made luminous because of its varying effects. 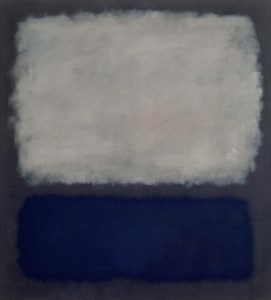 The nature of painting is such that the colors appear to run upwards across its surface, the reason being Rothko’s tendency to invert the picture on reaching the end of his artwork. 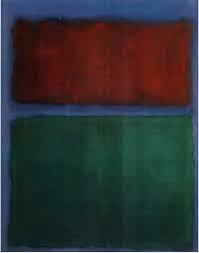 A classic masterpiece, highlighting a powerful interplay of color and light. 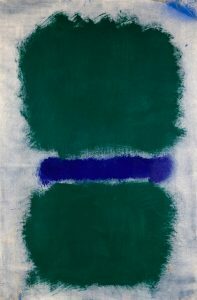 It was sold at Sotheby’s auction for a whopping $46.5 million dollars. 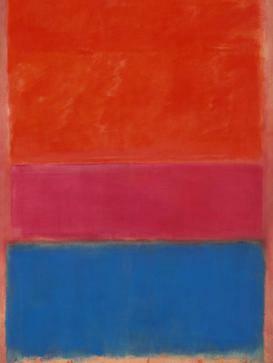 The vibrant red and orange shades are brilliantly balanced by the blue hue stacked at the base, giving the viewers the notion of the canvas being illuminated. His innovative mind of dealing with the abstract and presenting it ambiguously has been reflected here too. 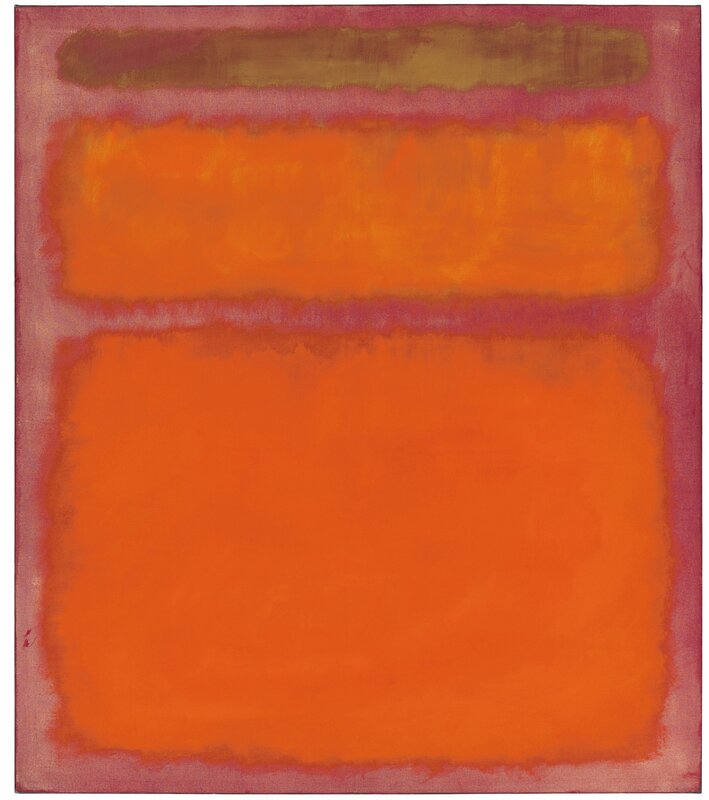 This artwork also was sold for an exorbitant amount of £47.2m at Sotheby’s auction in 2012. 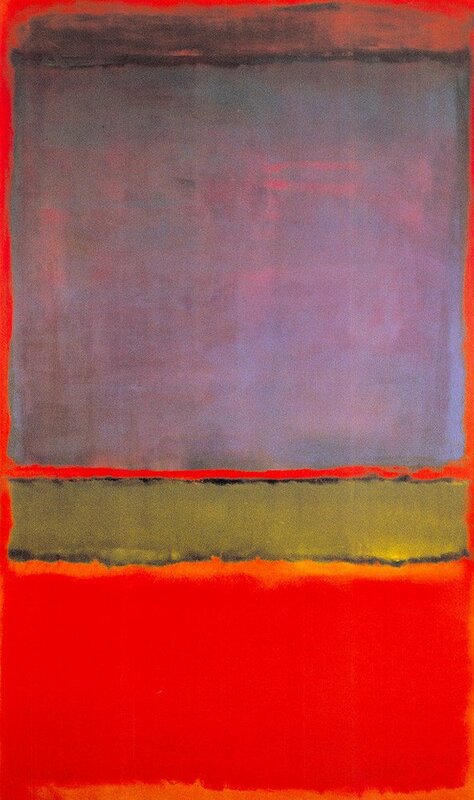 His tradition of filling the canvas with squares painted in rich colors which he deems as the sublime is seen here too. 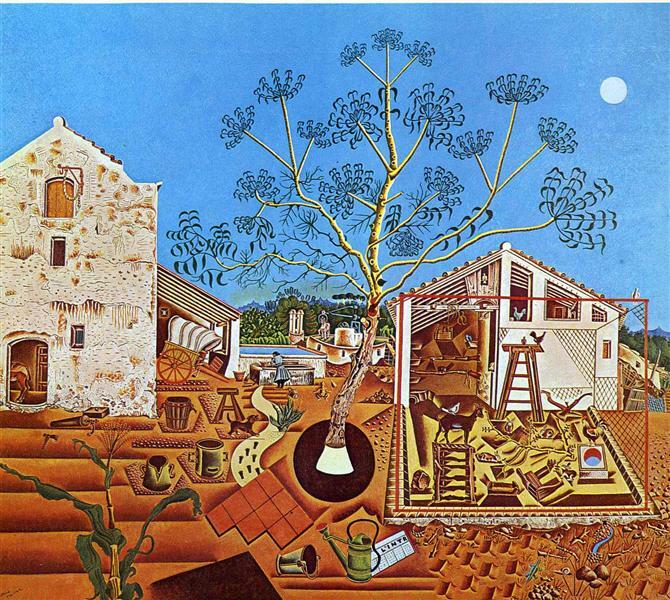 He had once denied of being an abstractionist but at the same time expressed his desire of portraying an array of human emotions like solitude, loneliness, doom, and desolation through his work of art, a trait that he justifies through this painting perfectly. 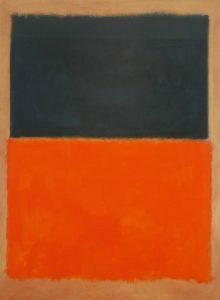 It is said to be one of the finest and powerful of his several paintings according to a particular observer, who even mentioned that the yellow and orange rectangles against a cherry red background were indeed eye-catching to the viewers just as the glowing sun as it is about to set or a bright colored popsicle. The spectacular effect is achieved due to Rothko’s technique of creating many thin layers and then smearing it on the canvas in an uneven way using a brush. 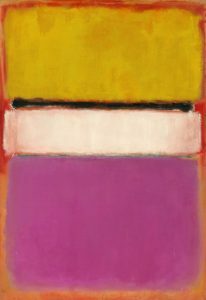 It attained a price of $70 million at the 2012 auction, with the bidding going for about seven minutes between three bidders. The brilliant use of color schemes all blended into a single painting enhances a feeling of warmth, brightness, and happiness. It earned $ 72.84 million achieving the record of being the costliest work of art sold at an auction post-war. 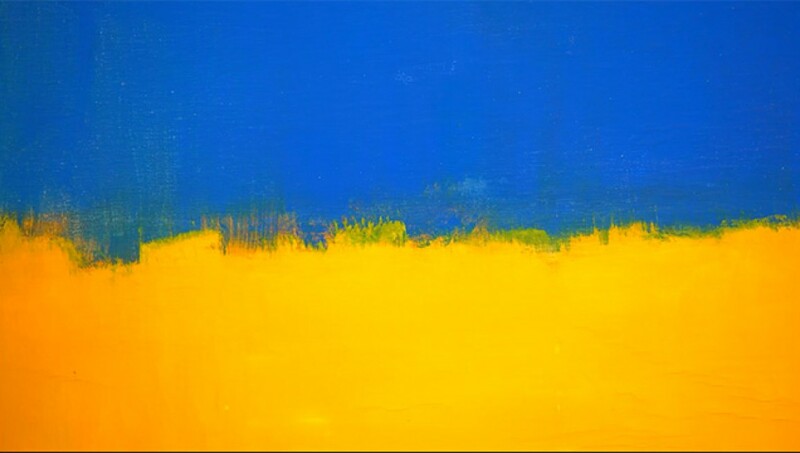 This work of art also witnesses a spectacular combination of two vibrant colors in a single frame, creating a subtle effect. The intricate use of color makes the image unique and realistic, appealing to the readers to the fullest. Certain critics say that the tangerine shade in the lower part of the canvas could mean the happier phase of human life, whereas the bluish-green portion might be indicative of the pall of gloom or worries which mostly plague us. 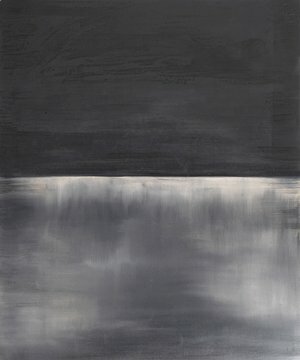 There seems to be a sense of stillness and somberness in the composition as the shades have a dimmed and dark appearance. Two green squares intersected by a blue rectangle make this painting another unique masterpiece of Rothko. The uneven and hazy shades create a sense of ambiguity. 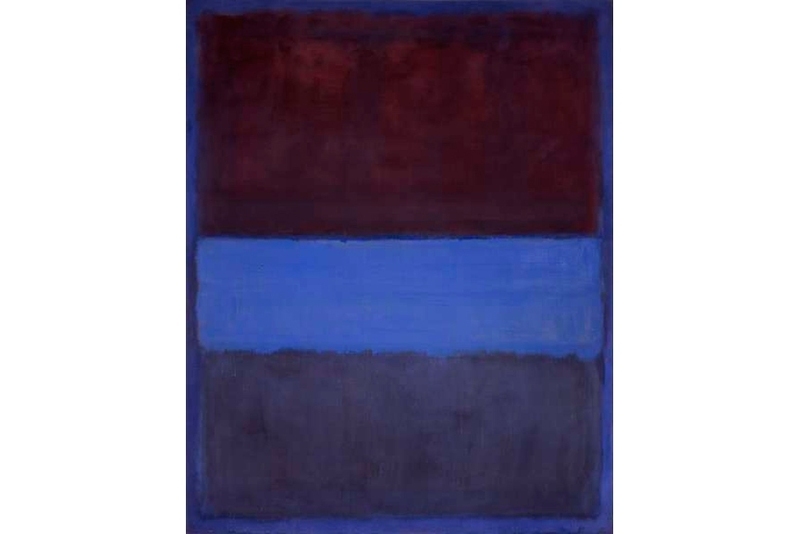 Dmitry Rybolovlev purchased this painting in the year 2014 for a price of €140 million. 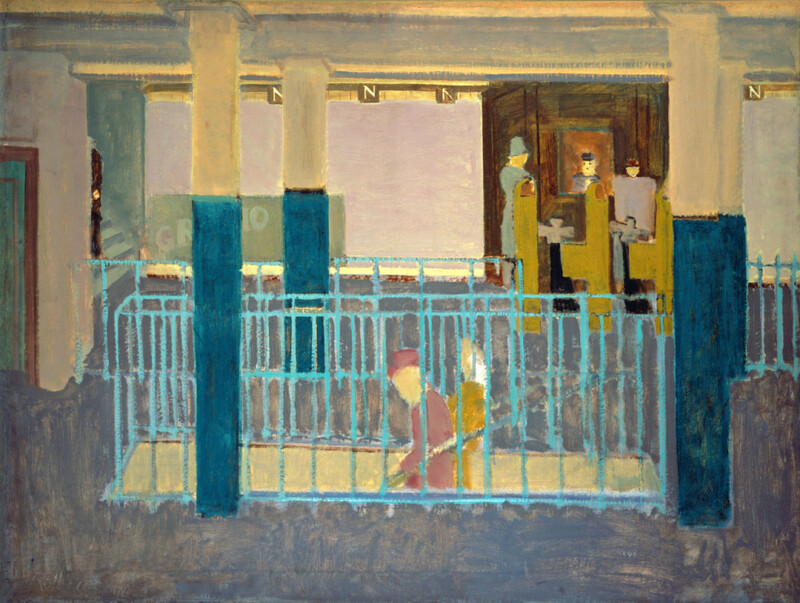 His Subway scenes is an outcome of the exhibitions he attended namely Fantastic Art, Dada and Surrealism and Cubism and Abstract Art at the Museum of Modern Art. 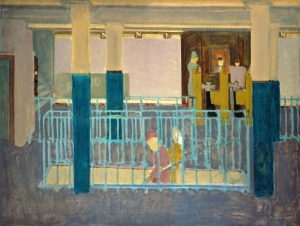 Here his interest lies not in the plying trains but the human beings waiting on the platforms or commuting to and fro. He has focused on the vertical and horizontal forms with the figures that he presents being tall as well as stick-like in appearance. His stations are also unique as they are neither dark or hellish nor are they filled with the hustle and bustle of the crowd but are rather solitary and desolate. 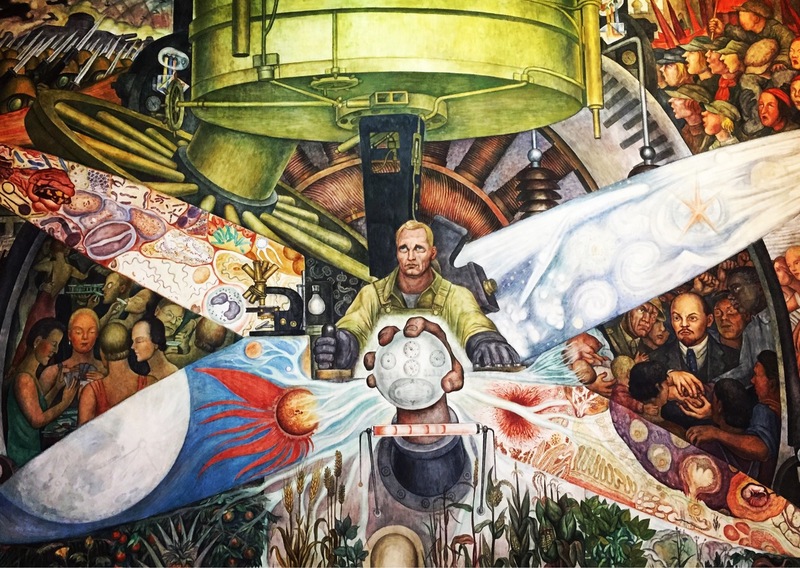 His other remarkable works hinting at abstraction with an ambiguous theme and a lot of depth include Earth and Green (1955), Four Darks in Red (1958), With Over Red (1957), and Multiform (1948).